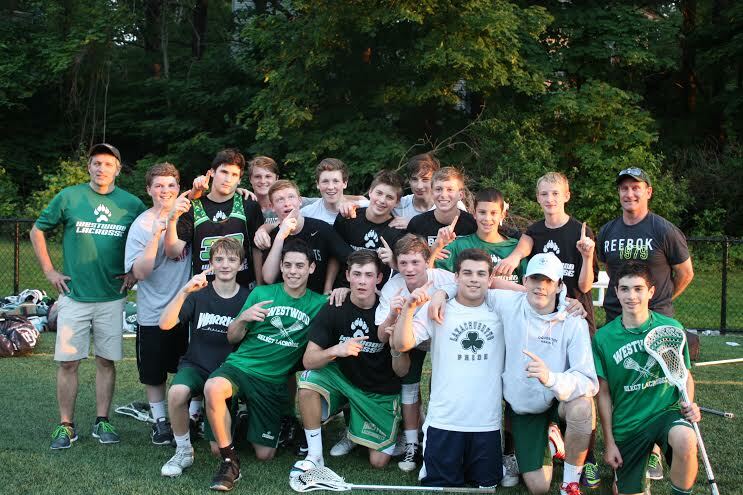 Congratulations to the Westwood 8th Grade Select Lacrosse Team who won the Mass Bay Youth Lacrosse League U15 Division 1 Championship game versus Newton 6-5 Wednesday night in Newton. The 8th grade team finished their season 9-0. Back Row: Coach Ken Kutzer, Will Danforth, Ian Williams, Will Frisoli, Connor Deehan, Tommy Lyons, Brennan McIntyre, Riley Hughes, Johnny Stankard, Goalie CJ Adourian, Nick Barner, Coach Eric Deehan. Front Row: Thomas Leone, Jake Antonucci, Michael Swirbalus, Brian Antonelli, Andrew Antonucci, Cam Martin, Matt Kutzer.